Grease | Curve Theatre, Leicester. 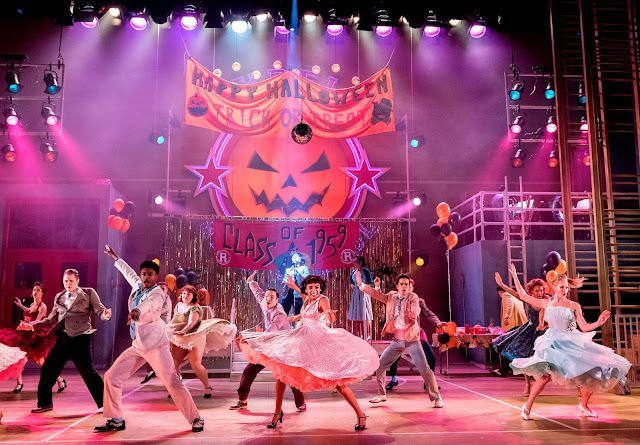 If you're not looking for the traditional Christmas show this December but something which can be enjoyed by the family then look no further than Curve Theatre's festive production of Grease. I don't know anybody who hasn't heard of the John Travolta and Olivia Newton-John 1978 hit musical film. Grease is definitely one of the most popular and recognised musicals in theatre history, and becoming the highest grossing cinema musical of all time. 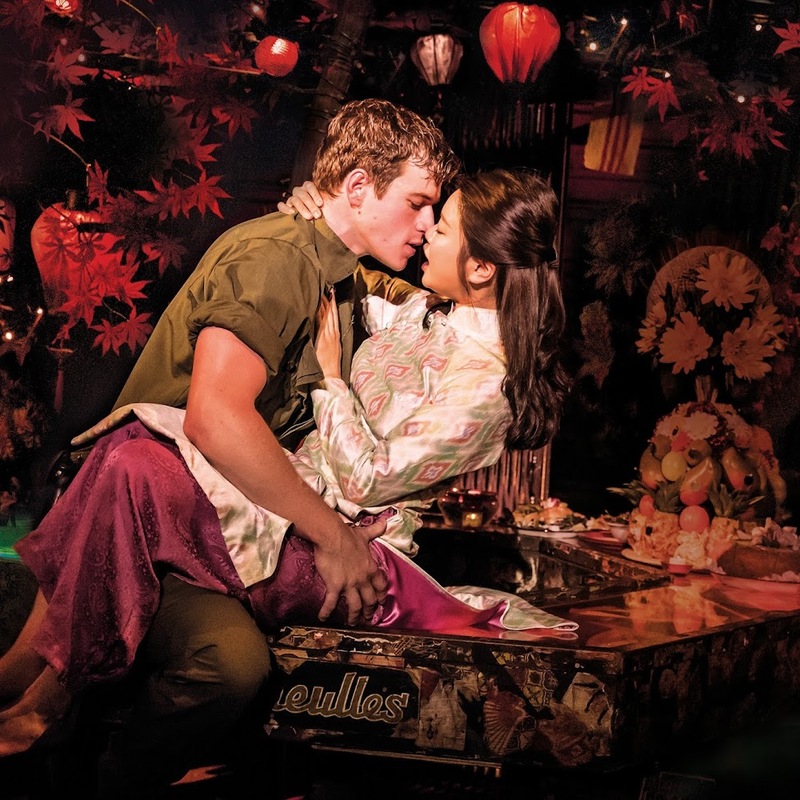 It's initial inspiration, the 1971 Broadway play was adaption that isn't as known. I even remember studying the play back in my college days and remembering so much of the script whilst watching this performance was definitely an added bonus. This musical not only brings together memorable music and lyrics but also gives us an insight into post-war American history, touching on themes like the sexual revolution, the promise of youth and the rebelling against tradition. 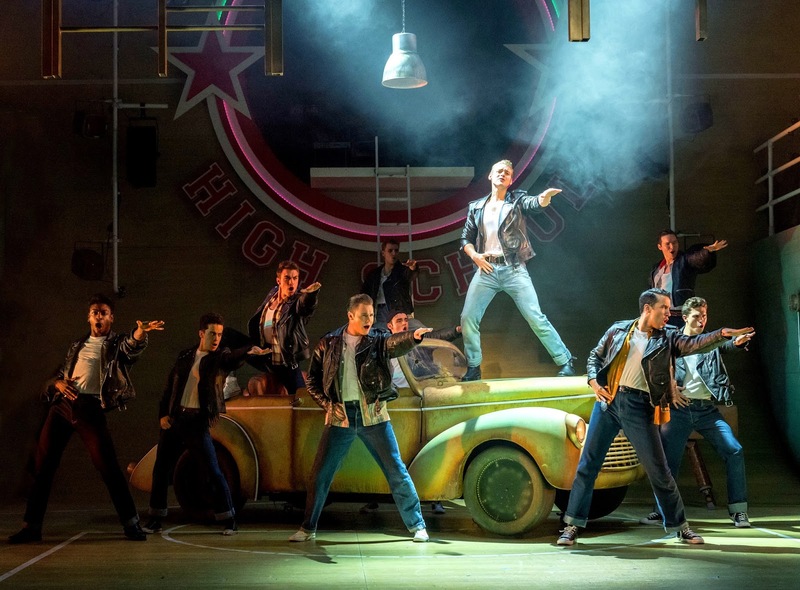 Grease is a great representation of not only the rock 'n' roll music of the 1950's but of the American teenager, whose look, attitude and morals heavily influenced the British teenager who was just as much repressed, if not arguably more. The plot is easy to follow. 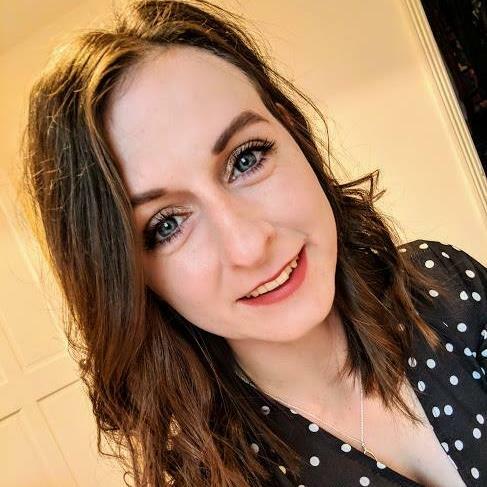 We follow good girl Sandy Dumbrowski played by Jessica Paul who was instantly recognisable and immersed herself within her role as soon as she entered the stage. Sandy has spent her summer with bad boy Danny Zuko before going separate ways to begin their senior year at high school. 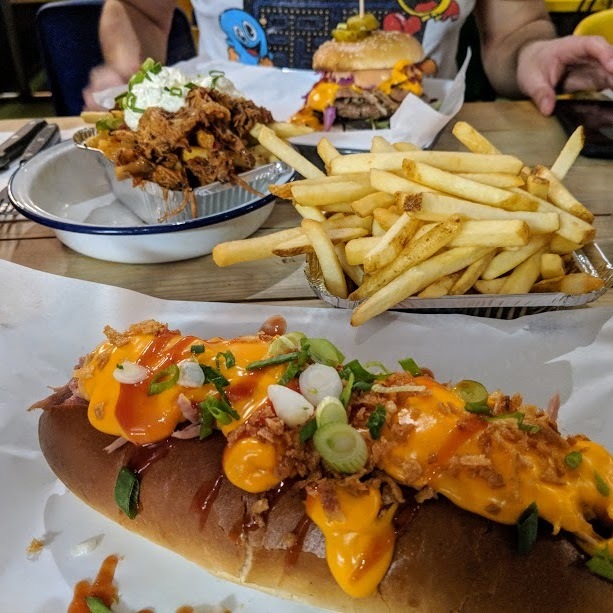 Come September, little does Danny know that his summer romance is set to catch him up when he realises that Sandy will start attending the same school.With the help of the Burger Palace Boys and the Pink Ladies, the couple are reunited in time for the finale. Grease is such an iconic performance so it would be no surprise that the pressure to produce a high quality production that stands above the rest, the audience knows the songs, the storyline and the jokes. There was some scenes where it felt flat or not at a consistent but equally there was a touch of the Curve magic from director Nikolai Foster that made for enjoyable watch. Nick Winston's athletic and energetic choreography really brought the iconic dance styles of the 1950's to it's forefront in the production. The Hand Jive and Greased Lightning routines were visually stunning and their hard-working ensemble, in particular Justin Thomas who stood out for his eye-catching technique executed the choreography perfectly. I thought the strongest performances came from the supporting roles, especially Nathanael Landskroner who made a real impressive professional debut as the soulful Doody. I saw him perform back in Spring Awakening earlier this year so it was really good to see him undertake a new role so well. I also loved Natalie Wood's performance of the big hearted and loving Jan, she was naturally funny and comfortable within her role. As the two leads, Jessica Paul and Dex Lee were given characters which are so important to the storyline of Grease however I thought that there was something different about them that I couldn't put my finger on. There were times I was almost uncomfortable with Danny's character and couldn't quite understand his interpretation of him. However I understand that this could have been the direction of the director to show; that there is a sense of growing up in this production, of a group of young people who are hovering between adolescence and adulthood. One of the production's strength is that the transformation that Sandy undertakes is one for herself, not for Danny as we have become to know from watching the film for all of these years. What these two leads lacked in natural chemistry of what we expect they definitely made up for in their vocals, and both completely pinned down their solo performances. You can't finish off this production without mentioning the production design, it was gorgeous and completely outshone anything I had seen before at the Curve. The Curve definitely know how to recreate a musical in their own unique way, and the height and width of the main stage was used so well in this production. Colin Richmond's set blends the 1950s aesthetic and versatility that suited the fast pace of the play so well. The use of the lighting design from Guy Hoare showed an awesome job of grabbing the audience's focus in a theatre space that is so vast and full of activity. 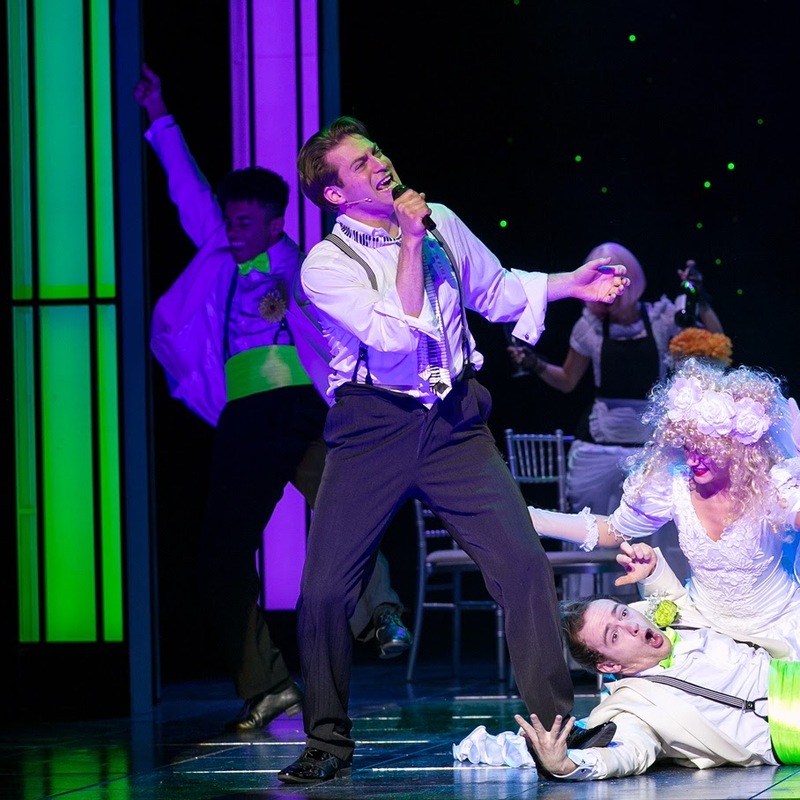 With the mega-mix finale at the end which will have you up and dancing on your feet you would be foolish not to head over to the Curve Theatre this festive season! I miss having a theatre so much! Ours is currently being refurbished and I don't know when it's back open! 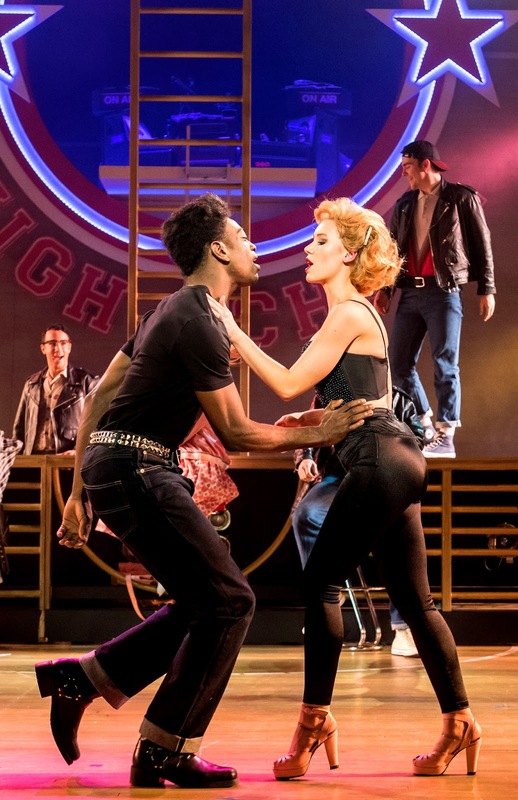 I love Grease and definitely prefer it on stage than in the film. I can't wait to get back going regularly to the theatre! I saw this the other day (and noticed you in the programme actually)! I think it had such a tough job with it such being an iconic film, as I found myself trying not to evaluate it in terms of the film, but as there was something about Danny I also couldn't put my finger on I wonder if that was just that he's not the iconic John Travolta that I think of! But other than that I thought it was a brilliant show and the choreography was amazing!